‘I hear what you say’ – Sir Zelman Cowen. Brisbane now has a long history of closing down old cinemas and throwing up cineplexes showing Hollywood crap at shopping centres. It is a malaise that should be reversed and it could start with the Schonell which has shown a wide range of arthouse and foreign films. The Schonell may not have been as famous as Cambridge Footlights but it was our theatre and we helped make it what it was during turbulent years of the Vietnam war and the democratic rights struggles against the Bjelke-Petersen government. The University of Queensland Senate are going to take the Schonell down and not replace the theatre. The Senate wants to build a retail shopping complex at great expense on the site (> $14m). They are using the Schonell’s lack of disabled access as a smokescreen for the demolition. Are the Deen brothers to play a cameo role in the destruction of yet another Brisbane icon? Student Union President Bob Wensley (right) talking with the Governor-General Paul Hasluck (left). The person in middle wearing an Anti-Vietnam war moratorium cap is Australian Actor, Trevor Stuart (formerly Smith). Opening of the Schonell Theatre on 22 Sept 1970. Photo: Semper Floreat. The University of Queensland’s Schonell Theatre was built from student union membership fees. It cost the Student Union $870,000 and several years’ work in the 1960s (p 13, A History of the Avalon Theatre 1921-2007, Nigel Pearn and Richard Fotheringham)*. The land is owned by the University but the buildings including the student union complex on the site were built, maintained and renovated using student money. Now it is to be pulled down by the University Senate. The UQ Master Plan discloses very little. The wording of the University’s proposal could mean anything: “Through new development, visual links to the existing sandstone heritage-listed buildings of the Great Court are maintained and enhanced … (e) Provision of outdoor meeting rooms and collaboration plazas, as well as larger buildings and facilities suitable for events and conferences, are geared towards industry and business that are digitally connected to the world. (f) The redeveloped Student Union hub continues to provide student based retail, food and beverage.” – St Lucia campus site development plan (Draft E) August 2018. This Child Care centre in the Schonell Building has been going for over 40 years. What does the good professor mean by ‘radical’? I am pretty sure University administrators did not have Angela Davis idea of ‘radical’ in mind: Radical simply means ‘grasping things at the root’. Making staff that worked there redundant? Taking away student and staff control? According to management sources, spending $14M on a new building is how much it would cost to fix up the Schonell. There is no mention in the plan of what will happen to the Child Care and Student Services that are housed in the old Relax block that are part of the same building. Why? Just who runs Universities these days? Are they academics, business people or something else? Are they devoid of ideas? Are they crazy? Are they what spin doctors call ‘visionaries’? Student Services are housed in the old Relax Block, part of the area to be demolished. Every couple of years University administrations throw out the old where public memory resides. They replace with their stamp, their names inscribed on the new. At great public expense. They underpay their staff, making them casual employees. In my day even the student Union admin would change the refectory every time a new group was elected; as if it was their own personal plaything. Professor Wright claims: “Now all that area was designed and built when the university was a very, very different place and it had 6000 students, rather than over 50,000 students that it has now,” she told ABC 612. The old forum area in front of the Schonell, looks pretty retail friendly to me. This is inaccurate. When the Schonell was built in 1970, there were about 20,000 students at UQ. If you add staff, the university was the size of a small town like Mt Isa. Did this new breed of planners give us some of the best theatre, the best films, at reasonable prices provided for years at the Schonell theatre? Errol O’Neill as Super Zel talking to Bob Raven on Monday 20th September 1971. Super Zel was a spoof of the University Vice-Chancellor and later Governor General Sir Zelman-Cowen. 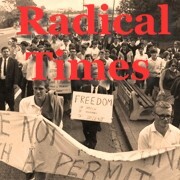 Source: Radical Times Historical Archive. Professor Wright again: “The Schonell Theatre is a very fond part of the memory of many, many students but that doesn’t change the fact that is no longer functional she told ABC 612. Too right we have fond memories. I saw Stanley Kubrick’s 2001: A Space Odyssey in the Schonell (I think I was the only member of the audience who was not stoned); there were the famous architecture reviews like ‘I Hear What You Say’ which ‘I hear what you say’ was a favourite phrase of former University of Queensland Vice-Chancellor and later Governor-General, Sir Zellman Cowen. ; Errol O’Neill (pictured) played ‘Super Zel’ in the revue . Jim Beatson ran daytime movies for 20 cents admission in the 70s.In 1971, the Brisbane Filmmakers Co-op was established by Peter Gray, who also organised the screening of ‘films such as Warhol films from the US as well as avant-garde movies from Australia, France, Italy, other parts of Europe, and even South America’*. It had some of the best art house cinema in Australia put together by Ron Wakenshaw, Jim Beatson and Desley Agnoletto with her partner Pietro cooking the best pizzas named after realist film makers like Bertolucci and Visconti. Ron Wakenshaw had come across from running Australian Film Institute (AFI) screenings at the Commonwealth Government Centre in Ann Street in Brisbane in the 1970s. As years rolled on the theatre was hired out by local community groups. In 2009 the Queensland Palestinian Association and Justice for Palestine held Brisbane’s first Palestinian Film Festival there. As a young student I even acted in the Blue Light Theatre Co.’s production of Samuel Beckett’s ‘Endgame’ in the Cement Box theatre under the Schonell. Original and innovative theatre was put on there from 1971 onwards. Back in the day, you could listen to the best recorded songs in the music room downstairs at the Schonell – everything from the Four Tops to Beethoven. I was one of the 4ZZZ stalwarts who helped move 4ZZ’s antenna from the top of the Schonell Theatre to Mt Cootha to improve reception around Brisbane. Tom Zubrycki’s story of the 1985 SEQEB dispute, Friends and Enemies, was put on at the Schonell. During the Q & A Bernie Neville, one of the striking workers, remonstrating with the filmmaker for failing to give the rank and file workers’ point of view. 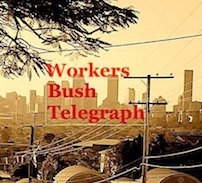 This documentary was seen by a packed house after the historic battle where 1001 workers sacked by the Bjelke-Petersen government. The film was called ‘Friends and Enemies’. The Dendy and Palace cinema chains have been successful copying what the Schonell did showing good foreign language and Arthouse films. So why quit now? The Schonell can still operate successfully with the right programming … showing old films, foreign language and arthouse, films that young people are interested in … current releases like Spike Lee’s BlacKkKlansman or The Insult, a 2017 Lebanese drama film? ‘I hear what you say’ was a favourite phrase of former University of Queensland Vice-Chancellor and later Governor-General, Sir Zellman Cowen. As Vice-Chancelloe he addressed this meeting of students and staff at the University of Queensland urging us not to go on strike against the racists policies of the Bjelke-Petersen government during the Springbok tour in 1971. This is the vote we took against his demand that we give up the fight against the government declaration of ‘a state of emergency’. Who are the friends of the Schonell? Who are the enemies of culture and community? Which side are you on? Featured Image: Amber Hansen dances the dabke at opening night of the Palestinian days film festival at the Schonell theatre in October 2009. Shame on the University of Queensland Senate, they let Joh Bjelke-Petersen on campus with Special Branch officers and sometime later award him an honorary Doctorate of Laws.